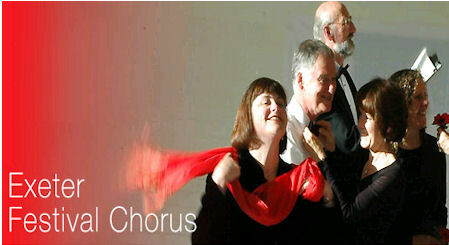 The Anya17 opera premieres on 7 March 2012 (at a new venue to be announced following the closure of the Contemporary Urban Centre Liverpool) with the Royal Liverpool Philharmonic Orchestra Ensemble 10/10. A further performance will take place at the RNCM in Manchester on Friday 9 March. Created by the team that brought you 'Eternal Voices', composed by 'British Composer Award' Winner Adam Gorb with libretto written by Ben Kaye and directed by the award winning director of 'Slave – A Question of Freedom', Caroline Clegg. To see all the News about this extraordinary project, please visit the dedicated site www.anya17.co.uk. The Exeter Festival Chorus joins The Band of Her Majesty's Royal Marines Lympstone to perform a haunting piece to celebrate the return of The Royal Marines from Afghanistan and to commemorate the fallen. Narrated by Sir Trevor McDonald.